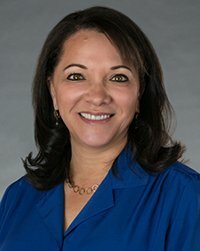 CHANTILLY, VA, July 21, 2016 — Citizant, a leading provider of IT and business transformation solutions to the U.S. government, has added The Honorable Lurita Doan to its Board of Directors, joining other government contracting industry veterans in advising the company on growth and service strategies. Ms. Doan served as the Presidentially appointed Administrator of the General Services Administration from 2006-2008. She previously was founder, CEO, and president for 15 years of an award-winning, surveillance technology company that designed and implemented complex surveillance solutions for the Federal government – a firm that she sold in 2005.
of 200 Luminary Award for Innovation in Technology, and the 2003 Visionary Award from the National Foundation for Teaching Entrepreneurship. Ms. Doan actively participates in and contributes to the advancement of women’s leadership in public service and business. She serves as a Senior Executive Service mentor for the Office of Personnel Management’s Executive Women in Government’s mentoring program. She is a member of the World President’s Organization (WPO), The Committee of 200, The Screen Actors Guild (SAG-AFTRA), Executive Women in Government, the International Association for Contract and Commercial Management, and the Intelligence and National Security Alliance (INSA).